Finn is affected to mystical charms and need his old buddy Jake to dispel them. 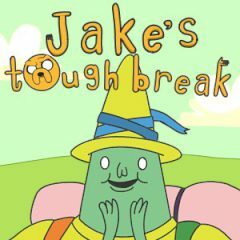 Play Jake and reach the magic hat during each level to complete it. The adventures of your old friends are back and this time you need to take control of Jake, who must help Finn escape troubles and deadly charms. Well, there is a way to do that, but you need to find a magical hat on your way. Can you do that?